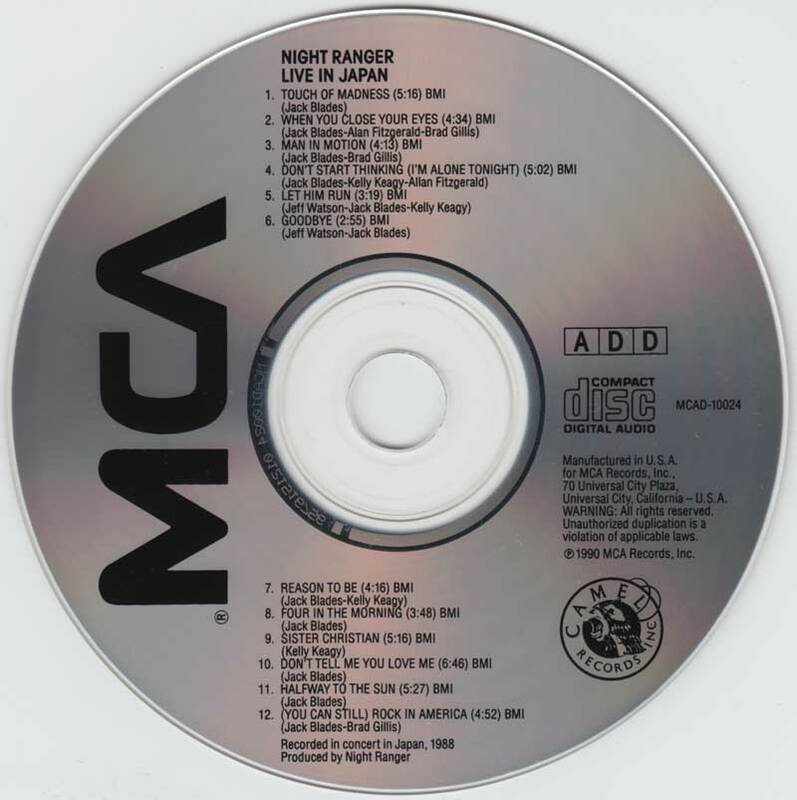 Here it is: the Spinal Tap-like, end-of-career live album recorded on that final Japanese tour. Everybody's done it, and Night Ranger certainly doesn't break the mold with this efficient greatest-hits set. 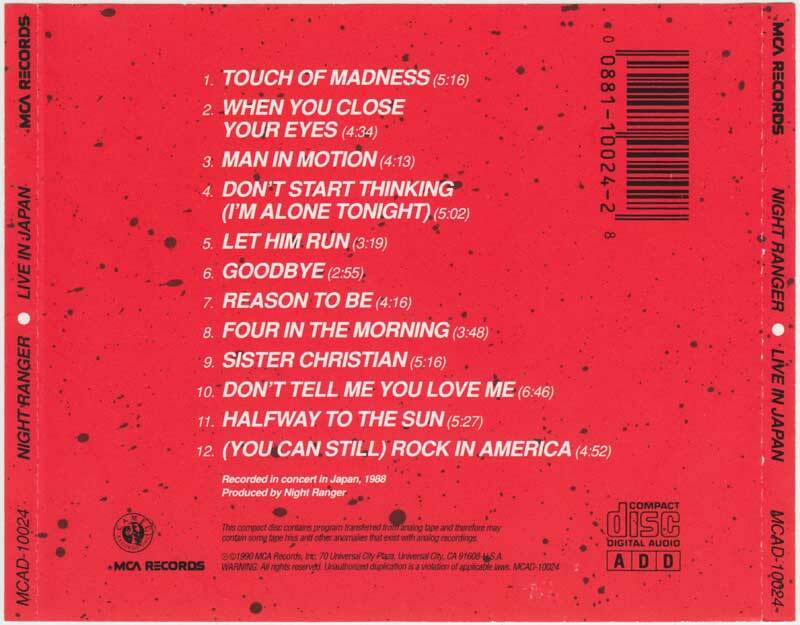 By spanning their entire '80s career and containing virtually every major hit ("Sister Christian," "Man in Motion," "Don't tell me You Love Me"), the album proves that this much-maligned group's music has actually aged better than that of many of their peers. The sound is crystal-clear, the backing harmonies flawless, and the overall ambience about as "live"-sounding as a high-tech studio, but then that's the case with most live albums.